The Safescan 30 Counterfeit Detector Pen leaves a permanent mark on fake notes and fades away from genuine ones to help keep fake currency out of circulation. 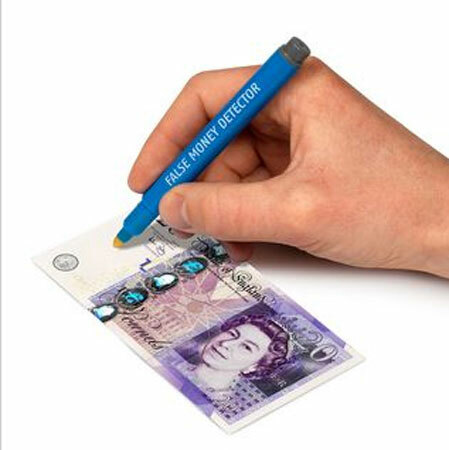 Detect fake bank notes immediately with this counterfeit detector pen that checks their authenticity by distinguishing them from the genuine ones. You can simply mark the note and observe the change in colour; if the ink turns dark, the note is most likely a counterfeit. This pen contains iodine-based ink that instantly reacts with the starch found in all papers, but not in official cotton-based or polymer banknotes used by banks worldwide.